Cricut Cyber Monday: Cricut Explore One Starter Kit $169.99 – 58% off! If you’ve been thinking of buying a Cricut machine, check out this offer for Cyber Monday! 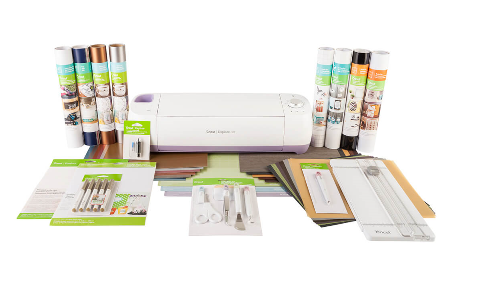 You can score the Cricut Explore One Machine + Starter Kit for just $169.99. That’s 58% off the retail value of $408.89! If you’d prefer to just buy the machine, you can score it for $134.99 today, which is nearly 50% off the regular retail price! Check out the Cricut machines on sale for Cyber Monday. Supplies are also 50% off, so it’s a great day to shop Cricut!